I’m no expert on comic books by any means, but I know a good story and interesting characters when I see them. 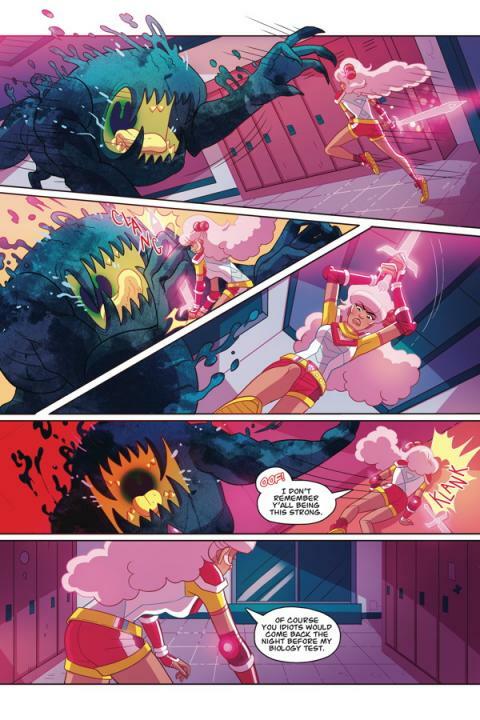 Zodiac Starforce has both in addition to clever dialogue, an intriguing backstory and heaps of girl power. After weeks of waiting, I finally got my hands on issue #1 of the new series from Dark Horse Comics about a magical team of teenage girls who fight evil and save the world. I was excited about this series for a number of reasons, including its diversity, abundant girl power and the fact that it skips over the origin story. I was hoping it would be a refreshing change of pace and a great title that would be relatable and inspiring for young women. I was not disappointed. The story begins with a disbanded Starforce. The girls defeated their nemesis two years prior to the beginning of the series and have been concentrating on surviving high school. When Emma, the leader of the group, is suddenly attacked by a monster after two quiet years of a monster-free life, she wants to keep going as she has been. The group is divided by those who want to reunite as a superhero team and those who want nothing more to do with that life. By the end of this first issue, however, it’s clear that bad things are brewing and it may already be too late to save one member of the team. I enjoyed every moment of reading this comic book. It is immediately interesting and so much fun to jump into a story where the heroes are already heroes. By page two, Emma is in costume and doing battle with a monster. By page five, I was laughing out loud at both physical humor and comedic dialogue. Halfway through I was intrigued about what went down when the team worked together before (apparently, some were left with serious emotional scars). By the last page, I was ready to reach for the next issue. This comic series is heavily inspired by both Buffy the Vampire Slayer and Sailor Moon. Both influences are evident in the premise, characters, humor, emotion and close-knit bond of the central team. It’s already pretty clear that many serious topics will be tackled within the pages of upcoming issues. At the same time, it’s also evident that the series will have fun, drawing on pop culture references and inserting light-hearted humor to balance the heavier moments. The youthful energy and uplifting feel of the comic is aided by the visual style. The comic is bright, relying strongly on varying hues of pink, orange and yellow highlighted by purples and blues. This allows the comic to be feminine without being pastel. At the same time, these color choices help keep it out of the primary color palette used by classic comic book heroes like Superman and Wonder Woman. A couple of other interesting visual choices made by creators were the lack of shadow and the clean lines of the illustrations. 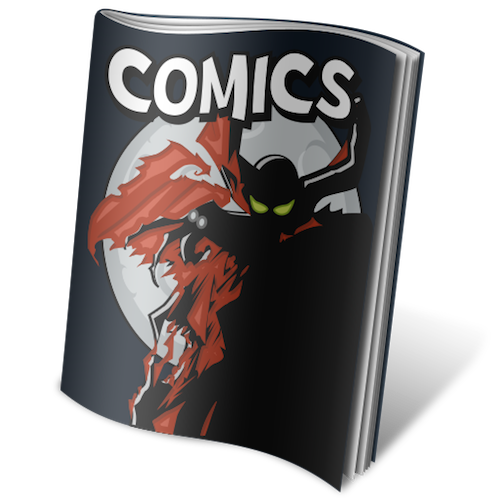 In trying to keep up with Marvel’s comic line-up, I’ve grown accustomed to seeing a lot of darkness on the page, from line shading to dark shadows covering much of characters’ faces. 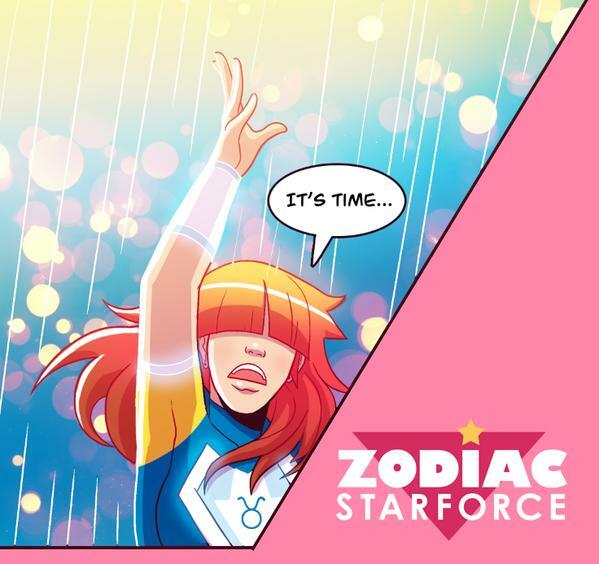 However, there are hardly any shadows in Zodiac Starforce. Faces are always turned toward the light, open to the reader. The lines of the drawings are also clean and thin, drawing little attention to themselves and leaving as much room for color as possible. Because of this, the colors pop even more intensely from the page. If someone is looking for dark and brooding in a comic book, this is not the one for them. If they love color, especially pink, this is one they’ll love. 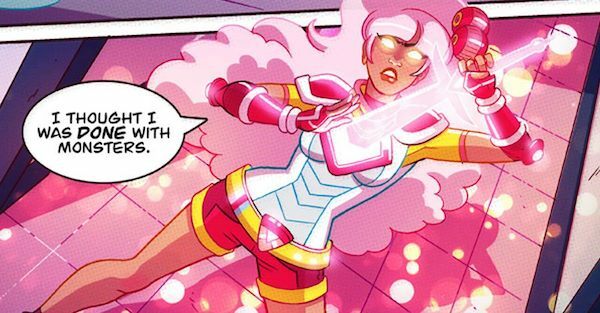 Zodiac Starforce #1 lived up the the high expectations I had for it. Great characters, writing and artwork came together and created a title that has already become a new favorite for me. I highly recommend giving this title a try. Buffy fans especially will find the tone of this somewhat familiar, in the best kind of way. 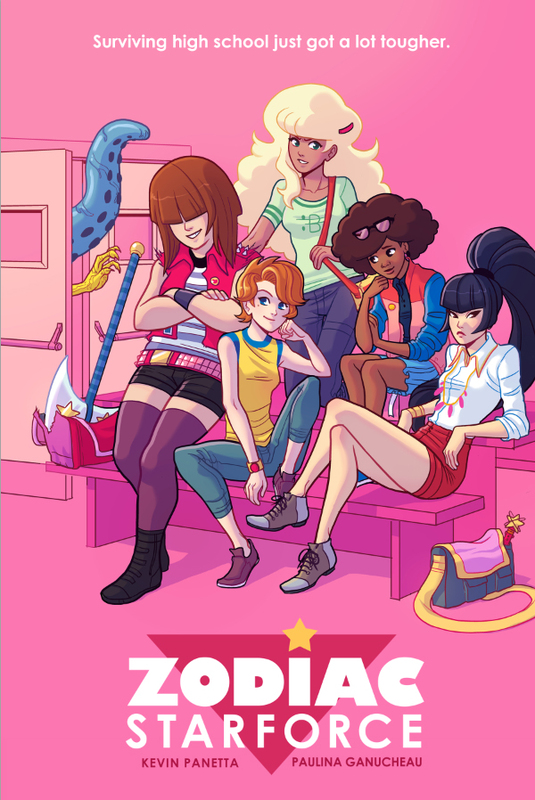 This entry was posted in Reviews, Reviews: COMICS, T. Mack and tagged Dark Horse Comics, Review, Zodiac Starforce. Bookmark the permalink. Oh, no! That’s not cool! I’m sorry. Thanks … I just don’t get why we are still not at the point where we have simultaneous worldwide releases. If people want it translated they can wait … I just want the original one. I completely agree. I feel the same way about tv shows.